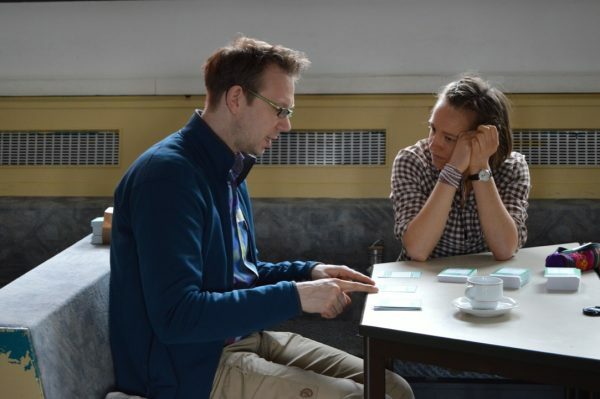 Home News & Stories Melton Fellow Eva Junge Helps Reduce Use of Plastic Through Card Games! 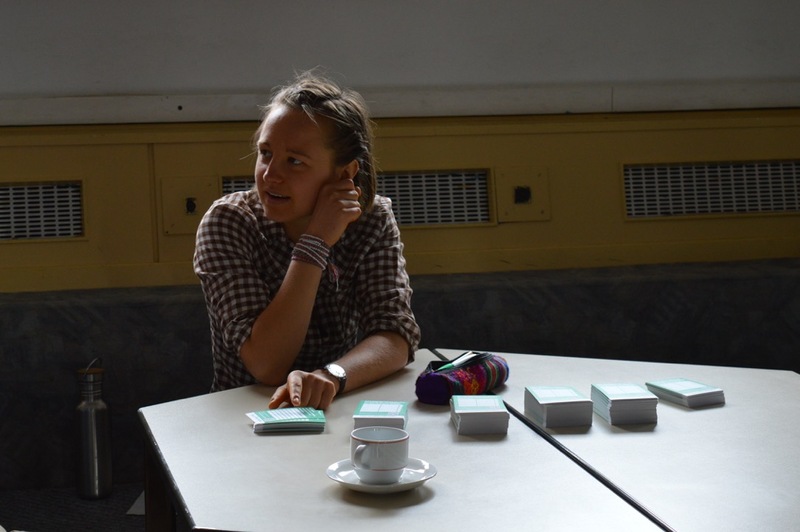 Melton Fellow Eva Junge Helps Reduce Use of Plastic Through Card Games! Climate Change, natural catastrophes, species extinction and climate refugees are happening right now on planet earth. Especially in industrialized countries, people have access to any kind of information relevant for these phenomena, but often enough choose to stay away from these topics. Here, she shares about her project in her own words. Environmental psychology has a lot to say about the reasons why humanity is failing to address these problems. For five years, I have been a very active part of the “Initiative psychology in ecology” in Germany, and when it was time to write my bachelors thesis in 2015, I chose to investigate means to engage people in environment friendly behavior. Inspired by the “Small Steps” (http://www.smallsteps.eu/spielkarten/ ), I designed playing cards that people could use to challenge their friends to avoid plastic in their next shopping at the supermarket. The cards have a list for names, where people that managed to do the challenge could inscribe themselves and pass the card on to another person. My aim was to investigate how collective efficacy beliefs and social norms would influence sustainable behavior of the participants. I had an extraordinary semester, where I was hitch-hiking through Germany during the day, distributing the playing cards, and talking to a lot of people, while watching the responses for my online questionnaire rise at night. It was amazing to get such a broad impression of peoples opinion about sustainability, waste reduction and plastic in particular. When I started to look at the final data, it soon became clear that I had actually found some exciting information: there was an increased participation rate in the condition where people would be addressed as a group (as opposed to as an individual). 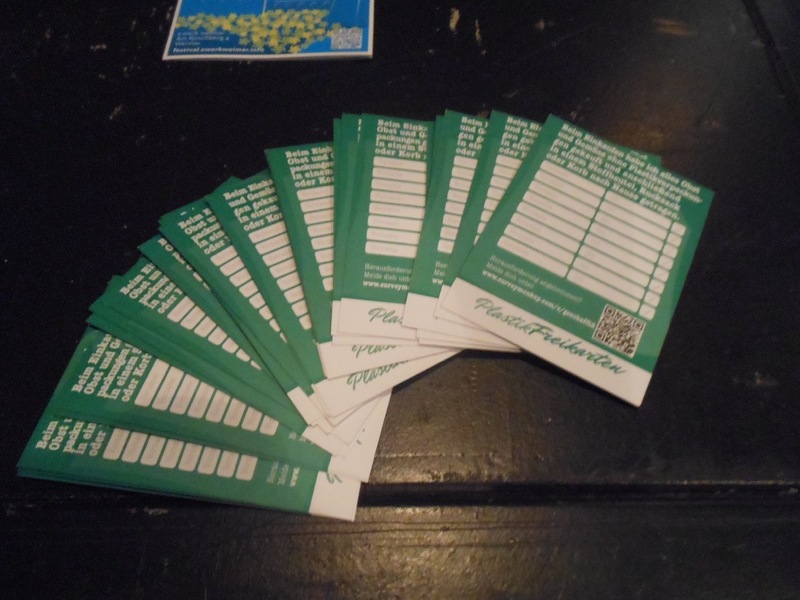 When people that were close to participants approved of plastic reduction behaviour (as made visible by the amount of names already on the cards before oneself), people would have higher intentions to keep up the plastic reduction in the future. Furthermore, the more a challenge was liked, the higher the general participation rate, where efficacy beliefs had a significant influence on the liking of the challenge by the participants. This implies that it is advisable to consider societies’ general level of performance in order to design challenges accordingly. After handing in my Bachelor Thesis, I kept working with the “plastic-free cards”, and actually just sent off some cards last week to somebody that ordered some more after having run out of them. It is nice to see that people still play with the cards in different places of Germany. Also, this February (2017) I published a paper in “Sustainability”, together with my supervisor Gerhard Reese. If you are really interested, here is the link for downloading the paper for free: http://www.mdpi.com/2071-1050/9/2/200/pdf . I am extremely grateful for the great experience I had with the project. 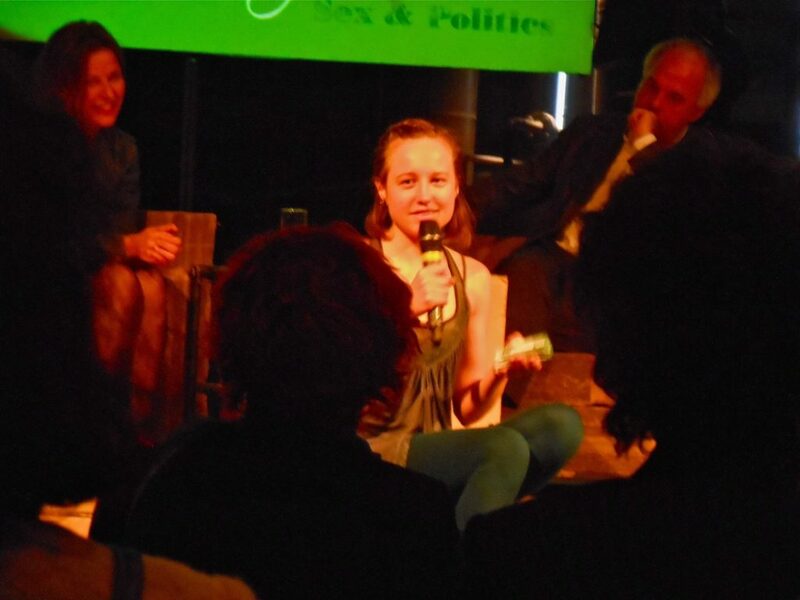 During the process of writing my bachelors thesis, I learned so much more than “just” the university’s requirements of an academic work, but I had an endless amount of insightful encounters and got to talk to an extremely broad field of people about sustainability. The Melton Foundation supported the whole project financially, which enabled me to print out such a great amount of cards in the first place. Thank you so much!